As inventories across the property market rise, developers continue to look for ways to accelerate the offtake through various innovative schemes. The rent-to-own (RTO) model is one avenue that many developers are seriously considering and which is gaining some traction in certain segments. “We have already witnessed several developers offering RTO schemes and I would anticipate that this trend will become more popular with developers while the market is in a softened state,” says Sean McCauley, CEO of DevMark, adding that RTO schemes give developers access to a wider buyer pool, which they would not normally achieve through their conventional offerings. Rent-to-own is a conditional agreement for a property comprising a rental and a future sale agreement, at a predetermined price and a defined time frame, explains Richard Paul, head of professional services and consultancy Middle East at Savills Dubai. “In most cases, as part of the agreement, a certain percentage of the rent is apportioned towards the down payment of the property. After the predefined time frame, the buyer has the option to either buy the property or exit the agreement,” he says. RTO schemes were first introduced in Dubai in the early 2000s and they became most popular in 2010-11. 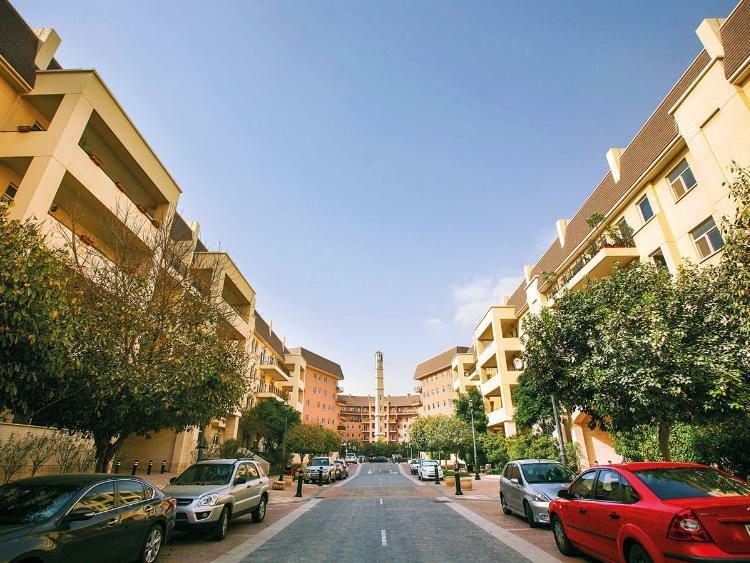 “Currently, only a handful of developers offer RTO schemes in Dubai, however, there are schemes being advertised in areas such as Dubailand, Motor City and Jumeirah Village Circle for periods of up to 20 years,” says McCauley. Although still in its early stages in terms of reach and volume, the scheme has begun to re-emerge as a viable option for both buyers and sellers after the Dubai Land Department (DLD) launched the rent-to-own (Ijarah) service last year, allowing such deeds to be registered. 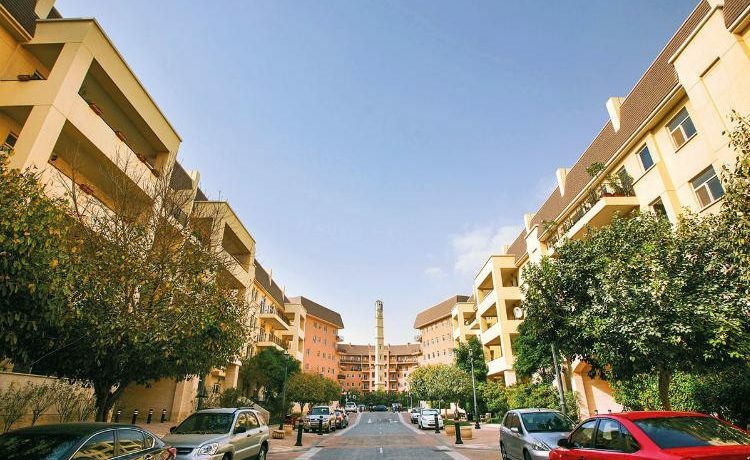 “The processes laid out by the Land Department will hopefully provide a clear legal structure to address many of the legal issues raised by RTO,” says John Stevens, managing director of Asteco Property Management. McCauley notes that the average down payment for a UAE property is 30 per cent. This comprises a 25 per cent deposit, a 4 per cent DLD registration fee and 1 per cent commission. The 25 per cent deposit is a requirement as per the UAE Central Bank, which means that the highest loan-to-value (LTV) percentage that an expat can get from a bank is 75 per cent. “Many buyers may earn sufficient income to cover the mortgage repayments of the 75 per cent loan, but they may not necessarily have the 30 per cent cash saved up for the deposit and other fees,” says McCauley, adding that typical RTO schemes do not require a 30 per cent down payment. With rental expenses accounting for a significant chunk of the cost of living, Farhad Azizi, CEO of Azizi Developments, says RTO is an ideal fit for long-term residents and investors in Dubai. “The current market conditions are conducive to drive rent-to-own initiatives as these offer customers various options to buy a house in a financially feasible manner through affordable and convenient financial plans,” he says. Will it make tenants homeowners? And while RTO would essentially benefit a wide range of people, “the best candidates would be aspiring homeowners who earn good salaries but don’t have the adequate savings and cash reserves”, he adds. Azizi says it’s a win-win for both parties involved since developers get to sell their current ready-to-move-in stock, while end users can afford to buy where they couldn’t before due to a lack of funds for down payment. However, a possible barrier to many buyers would be the high premiums of RTO units available in Dubai, which according to Mahmoud Alburai, vice-president of the International Real Estate Federation of Arab Countries and a senior advisor with the Government of Dubai, can reach up to 40 per cent. What happens if a tenant defaults? Stevens points out that the legal and regulatory structure surrounding RTO schemes needs to be created and released, “to protect the rights of the purchaser [tenant] and seller [developer]”. He says purchasers need to be certain that the premium that they are paying is being held, probably in an escrow account, and being used for the intended purpose with their interests in the property as the “owner”, subject to conditions, no matter what the status of the developer may be in the future. “Similarly, the developer needs to know that should the prospective purchasers default on their payments, they have the ability and right to take possession of the unit,” explains Stevens. While the DLD has issued necessary guidelines and associated fees related to the registration, cancellation, financing and transfer of RTO contracts, the schemes that have been available to date have been developed individually.